The first brick building in Sutton was Moor Hall, built in the 1520s for Bishop Vesey. Brick was a very high-status building material at the time, and expensive. Elsewhere in Sutton it was widely used over the next hundred years for chimneys - previously smoke had escaped through vents in the thatched roofs. When Edward Willoughby built a new house in High Street in 1623 he chose stone for the walls, but it had thirteen brick chimneys. The Great Fire of London (1666) hastened the replacement of timber and thatch by brick and tile. Although brick buildings were common by 1700, the handsome Queen Anne houses in Sutton still relied on a stone framework of quoins at the corners, and the brick walls of cottages and barns had timber reinforcements. The best Queen Anne houses, the old Rectory in Rectory Park and Rookery House in Lichfield Road, have been demolished, but humbler buildings such as the miller’s house of 1711 at New Hall Mill survive. The author of an anonymous work of 1762 admired the rectory, but felt that the adjacent brick kilns were “rather a nuisance”. This brickyard, on the corner of Bedford Road and Rectory Road, was closed down shortly afterwards, but there were others. 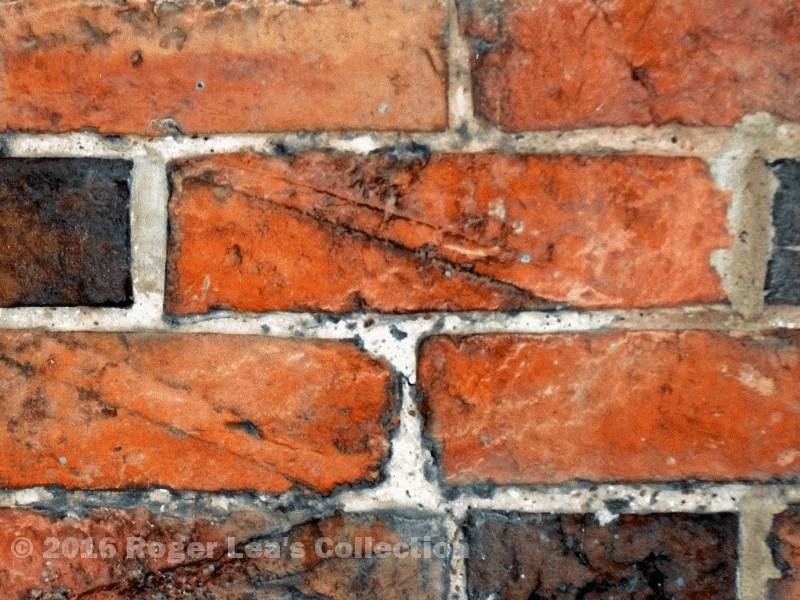 The same writer remarked that the bricks were “made out of a vein of clay which turns to an excellent red colour when well burnt; they are sold cheap, the price of them at the kiln being only half a guinea per thousand.” Bricks at the time were flatter than modern bricks, and those produced before about 1750 often bear a diagonal mark made in the process of moulding the raw material. Good deposits of clay were to be found on the east side of Sutton, sometimes next to outcrops of sandstone which could be quarried for building. 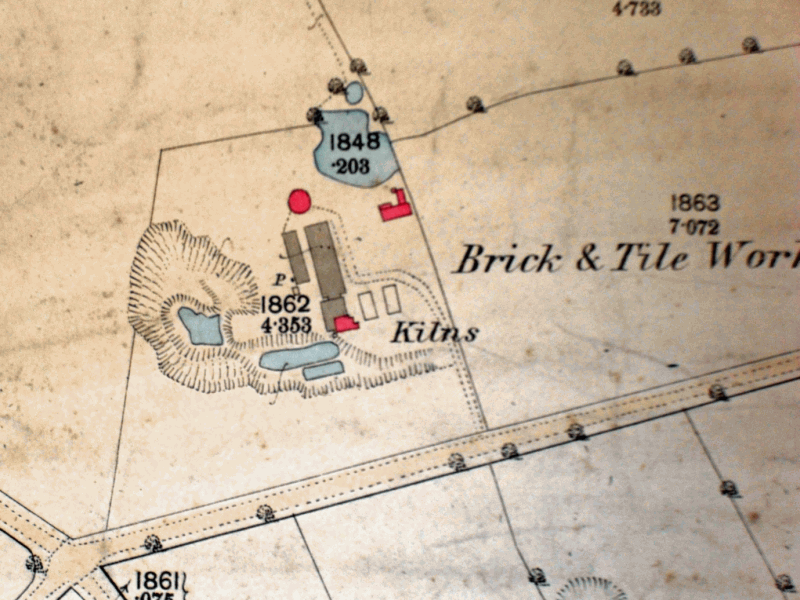 The 1913 map of Sutton shows a stone quarry on Bedford Road opposite the hospital, while two fields away where Vincent Road is now there was a large brick works known as Sutton Old Yard. The 1912 Directory gives “Lloyd’s Brick Works Ltd., brick makers, Sutton Old Yard and Wheatmore Brickworks”. Plan of Wheatmore brickworks in 1887, showing the clay-pit and kilns in a field near the corner of Withy Hill Road and Lindridge Road. Timber and brick at New Hall Mill cottage, built in 1711. Mould mark on a 300-year-old brick.